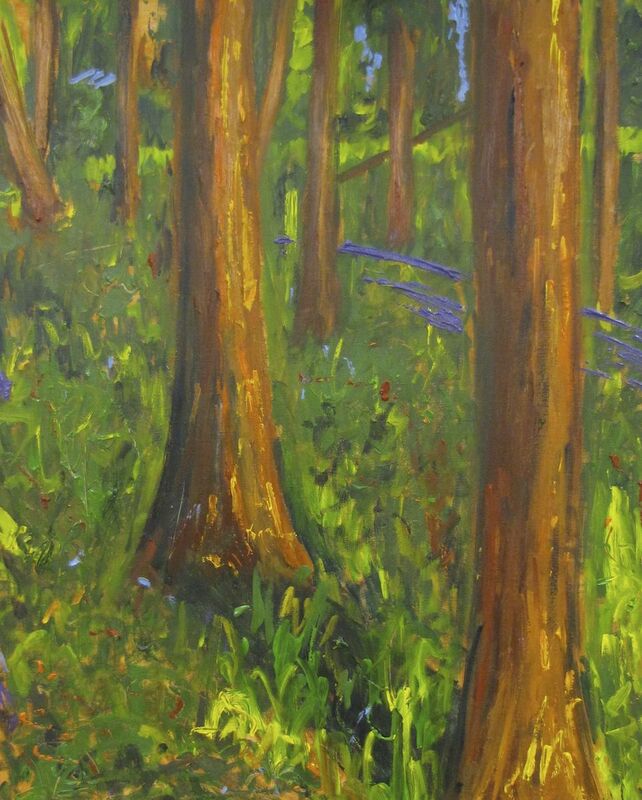 This piece is a rendition of a Ponderosa Pine forrest in Central Oregon in the late spring. These trees are beautifully famous for their reddish hues. And the forests always seem to be so clean and uncluttered. I painted it in Kaspars Zarins’ Pedant’s studio in Riga, Latvia. Details:Acrylic on stretched canvas. 100 x 80 cm • 39.37 x 31.5 inchesPrice:Sold. In a private collection in Wren, Oregon.